1. Draw a picture* of a manga character - person, animal, tree, whatever! 2. Ink your drawing (draw over the pencil lines in ink, then erase the pencil). 3. 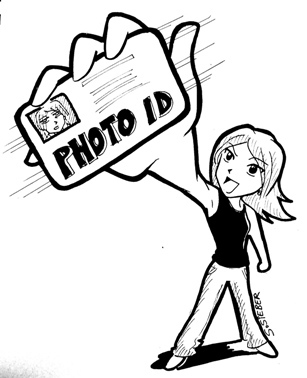 Use a scanner or digital camera to transfer your drawing on to the computer (save the image as a JPG or JPEG). Now you're ready to color in Photoshop! 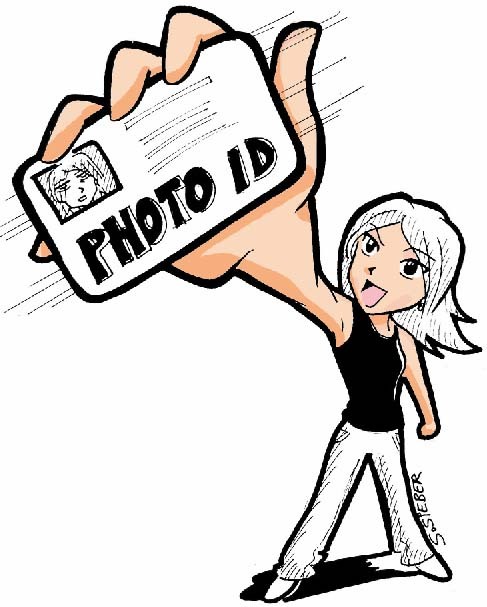 *If you don't have a picture ready, right-click and Copy the example "Photo ID" picture below, and then Paste it into Photoshop. Use the Brush Tool (click on it or press B on the keyboard) to color in the areas you've selected. Choose a color from Swatches or Color tabs on the right hand side of your screen. Now choose a darker color from Color or Swatches to shade your drawing. In my example, I used a darker skin tone along the bottoms of the arms, the bottoms of the fingers, and under the chin. Use the Selection Tool to select new areas, and then the Brush Tool to select new colors - and keep coloring until your picture is done! In my example, I used the Selection Tool to select the mouth area, and colored it in pink. The most important tools for this lesson are the Selection Tool (keyboard shortcut W) and the Brush (keyboard shortcut B). Use the Selection Tool (click on it or press W on the keyboard) to select the areas you want to fill with your first color. Click and drag the Selection Tool to select an area. A dotted flickering line will appear around the area you've selected. In the example below, I selected the arms, hand, and face to start coloring. Since the arms and face are separate areas, I held down the SHIFT key and then clicked and dragged with the mouse to add an area. 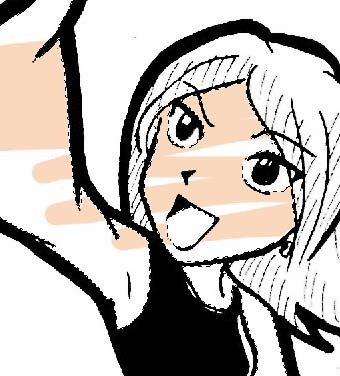 When I needed leave out an area (like the eyes or mouth), I held down the ALT key while clicking and dragging within the area I wanted to subtract. In the picture above, you can see that the color stays within the dotted lines. That's the magic of the Selection Tool - you can't make a mistake and color outside the lines!